... where this little guy used to be. 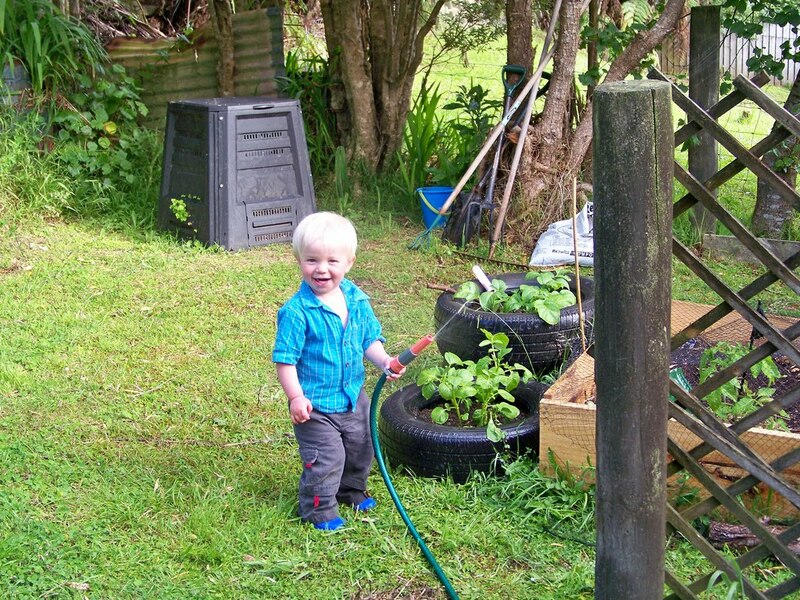 He's having a riot in Chch with his nana popping fuschias in the garden, assisting in the very important task of taking out the wheelie bins, and developing a love of peas straight from the pod. Meanwhile his parents are sanding and plastering and scraping and painting and waterblasting. Two weeks to go till he comes home. In terms of getting chores done before he gets back, it's not enough time. In terms of how much I miss him, one minute is too long. 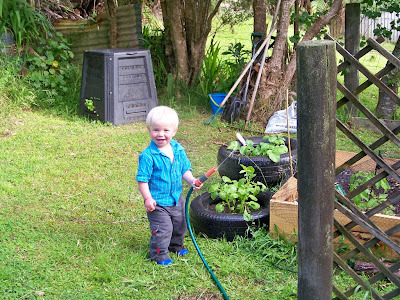 he is cute as a button & peas straight from the pod are a very tasty snack. That's the cutest pic of the harpsichord! on another joke - why can't a girl baby have a blue hoodie! ?